Started 19th and finished 11th. Showed speed early in the race, climbing from 19th to 13th in just 45 laps. Reported the car was “a little too loose” in the stage’s final laps and finished 11th. Broke into the top-10 on lap 99. Reported minor fender damage on lap 123 after contact with another car. Restarted 11th with one lap remaining in the stage before driving to 10th and earning a bonus point. Since he pitted in the closing laps of the previous stage, Bowyer remained on the track during the stage break and moved up to fourth for the start of the final stage. Held his position in the top-five, posting several laps as quickest of all the cars on the track. Pitted on lap 192 for four tires and fuel, dropping to 12th because several cars took two tires. Moved back into the top-10 on lap 223, ninth on lap 227, eighth on lap 245 and seventh on lap 247 while frequently turning top-five lap times. Made final green-flag stop of the race on lap 255 to take four tires and fuel. 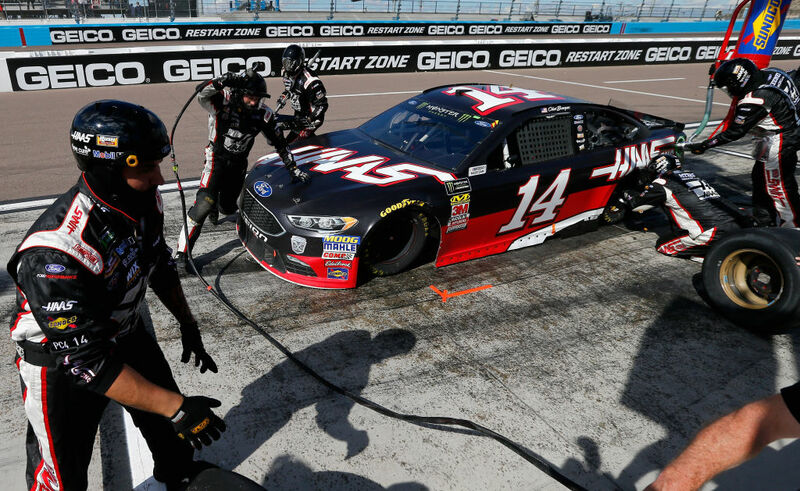 This is the first time Stewart-Haas Racing (SHR) has placed all four of its drivers in the top-10 in a single race. This was Bowyer’s second top-10 of 2018 and his seventh top-10 in 26 career Cup Series starts at Phoenix. Bowyer finished 10th in Stage 2 to earn one bonus point. Harvick’s victory in the TicketGuardian 500k marked the 46th overall win for SHR. It was the organization’s 42nd points-paying Monster Energy NASCAR Cup Series win and its sixth at Phoenix. There were six caution periods for a total of 36 laps. Only 15 of the 37 drivers in the TicketGuardian 500k finished on the lead lap. The next event on the Monster Energy NASCAR Cup Series schedule is the Auto Club 400 on Sunday, March 18 at Auto Club Speedway in Fontana, California. The race starts at 3:30 p.m. EDT with live coverage provided by FOX beginning at 3 p.m.